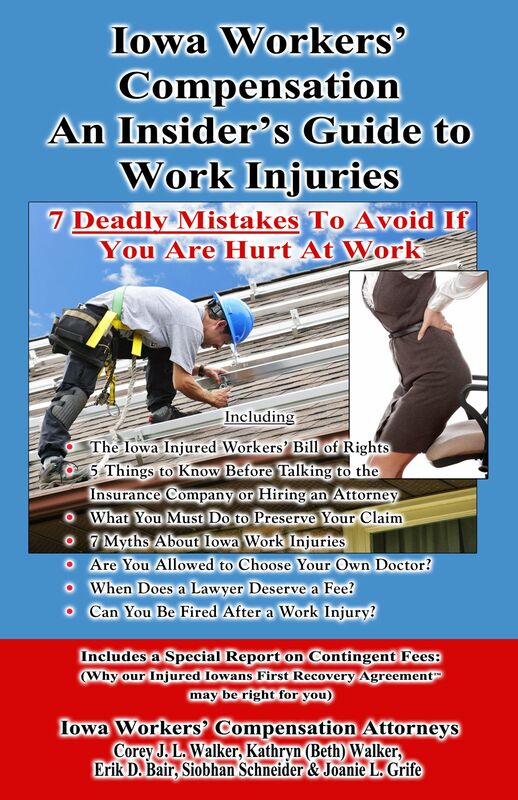 Injured at Work do I have an Iowa Workers Compensation Claim? Treating a broken bone is imperative because it could lead to debilitating pain and lack of mobility. Additionally, if broken bones are not properly set, it could lead to misalignment. This may leave an individual with long-term consequences, including a loss of function. That’s why it’s highly advised that you pursue an Iowa Workers' Compensation claim with the help of an Ames work injury lawyer. Most broken bones are treated by setting the bone back in place. However, severe breaks could require surgery. In either case, you will be out of work and unable to collect wages. An Iowa Workers' Compensation claim can address this. Another common injury that can be suffered in a slip and fall accident is a rotator cuff injury, in which muscles or tendons can become strained or torn. Mild rotator cuff injuries are generally treated with rest, ice/heat treatments and medication for the pain/inflammation. However, if the injury is severe, it may lead to other types of treatment such as steroid injections, physical therapy or surgery. You may find it necessary to hire an Ames work injury lawyer if you pursue an Iowa Workers' Compensation claim. Although you may be entitled to benefits, the insurance company or your employer may attempt to deny your claim. They may try to say that your injury wasn’t caused while on the job. Or if you delayed seeking medical treatment, they may try to use it against you. To learn what your rights as an employee are and what you can do to make the process of filing your Iowa Workers' Compensation claim easier, you should speak with a lawyer as soon as possible. The lawyer team at Walker, Billingsley & Bair work hard to level the field between injured Iowans and insurance companies. To learn more about what our legal team will do to help you protect your Iowa Workers' Compensation claim, contact Walker, Billingsley & Bair to schedule a no-cost consultation. Call 1-(888) 435-9886 for immediate legal assistance.